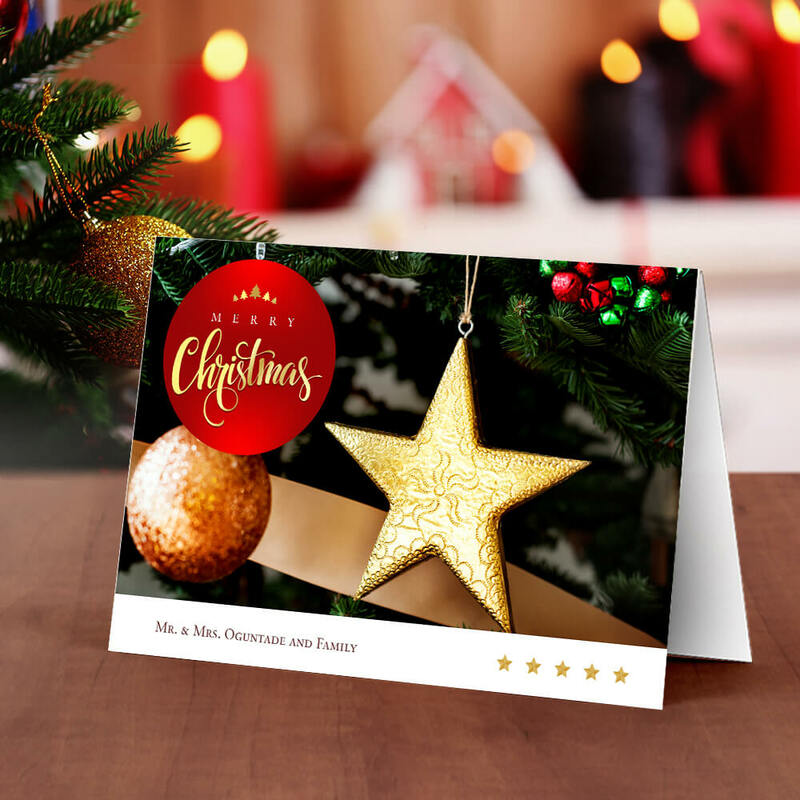 It’s not Christmas till the tree goes up. 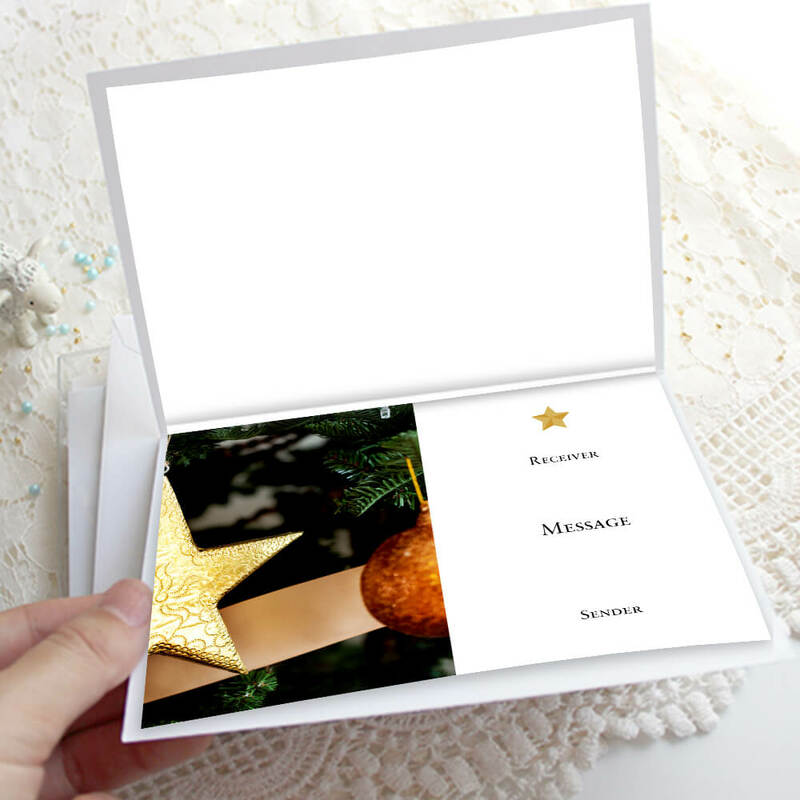 The Personalised Golden Star Christmas Card is a lovely card to send to your loved ones this season. 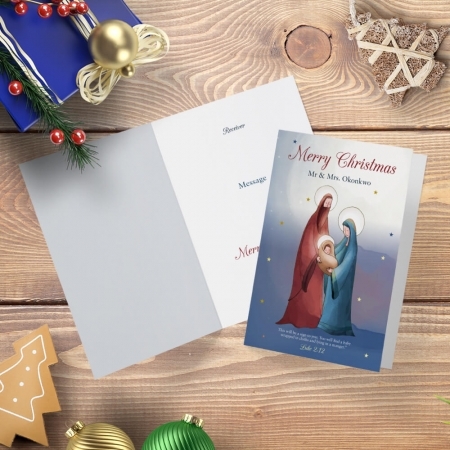 You might not be able to send boxed up presents but you can send them some Christmas cheer with this personalised Christmas card. 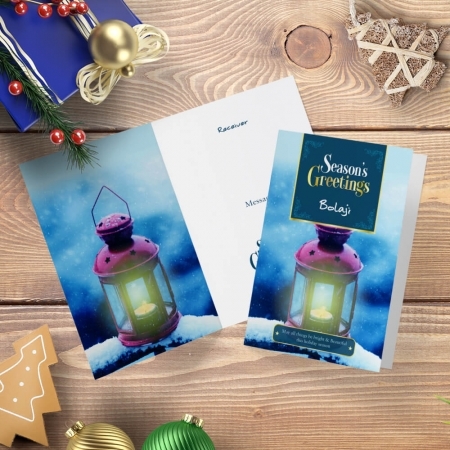 Wish them a merry Christmas and a prosperous new year with this card. 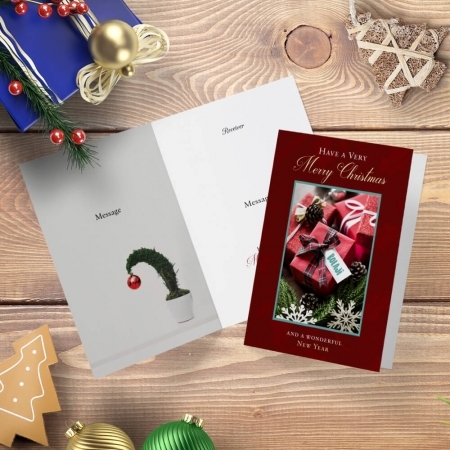 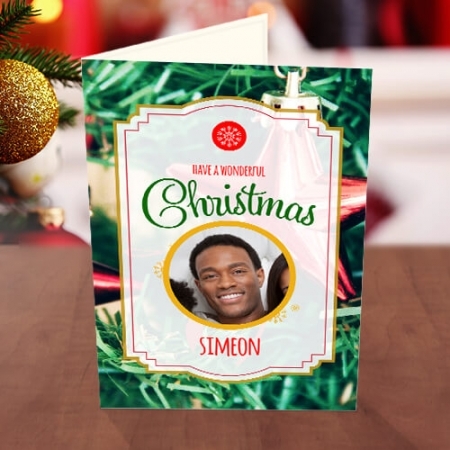 Personalise the card with the recipient’s name and a cute Christmas message. 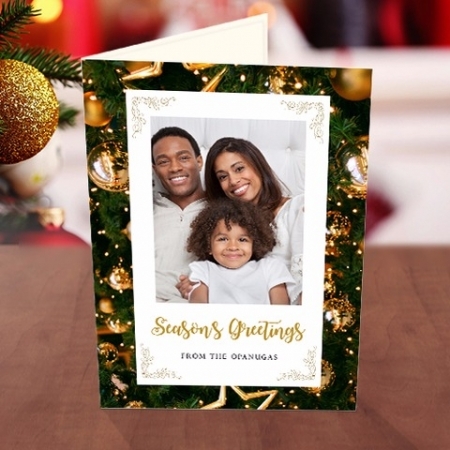 Need any help personalising this Christmas card? 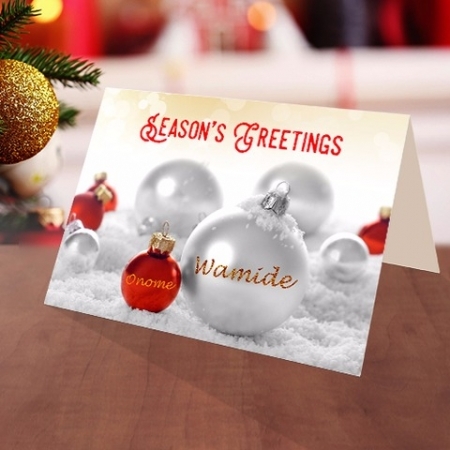 Check our FAQs or call us directly on 08139505862.